Here is a collection of photos from customers who have great imaginations! 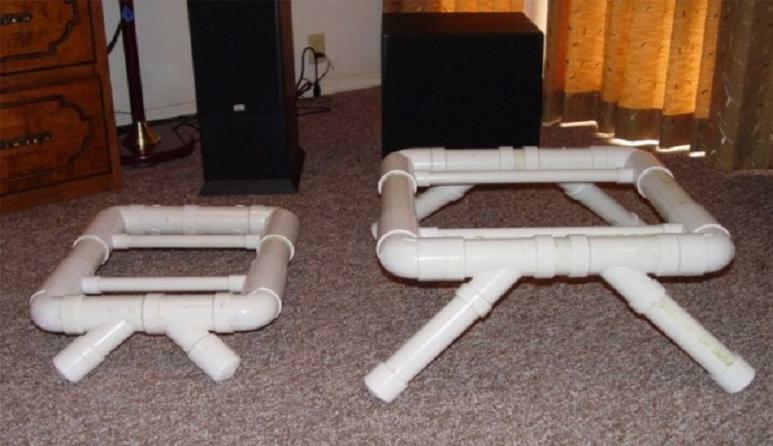 Look at some of the NEAT STUFF they are doing with PVC fittings in their homes, businesses, yards, etc. If you have some NEAT STUFF to share with others on our site, just send photos and a short story or explanation so we can add it to our website for others to see. Very imaginative use of PVC fittings. Sturdy fishing rod rack located in an under stairs closet. Rods of varying sizes are accommodated. Since the rack makes a corner, stability is not an issue. On camping trips, Chuck wagon & dutch oven gatherings, It pays to take good care of cooking equipment (like this Roulpat dough board) by protecting it from damage, weather, etc. Roulpat silicone bread dough boards make one of the best pie crust rollout work surfaces there is, but they cost about $50.00. 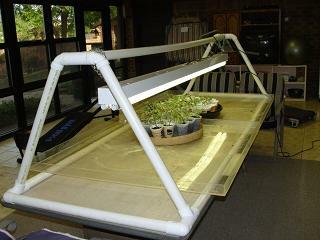 After use, the Roulpat is rolled up and slides into it's protective "tube" until it is needed again. Made out of PVC pipe with caps on the ends, one cap is glued on (fixed) and the other cap is left loose for removal. Simple idea, low cost way to protect a 50 dollar investment...think of how many other things could be protected this way. When spring fever hits and you want to grow a big batch of tomato plants for the garden and for family & friends, a quick and easy frame can be built out of pvc pipe and fittings to hold a fluorescent light in place. 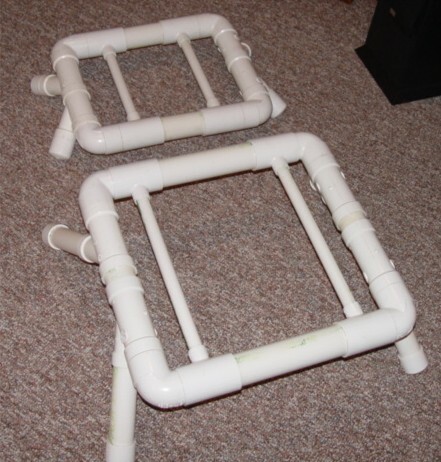 The large diameter PVC irrigation caps shown below make great draining devices for pot plants in the sun room that will last the lifetime of the gardener! HEY! I WOULD LIKE TO EAT AND DRINK OUT OF A PVC BOWL! Has a self propelled vacuum cleaner ever wacked, scratched, and dented your walls, furniture, or stereo speakers? 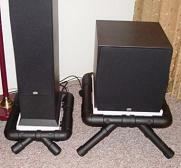 Here are some speaker stands built to offer stability, looks, and protection for a home theater speaker system. 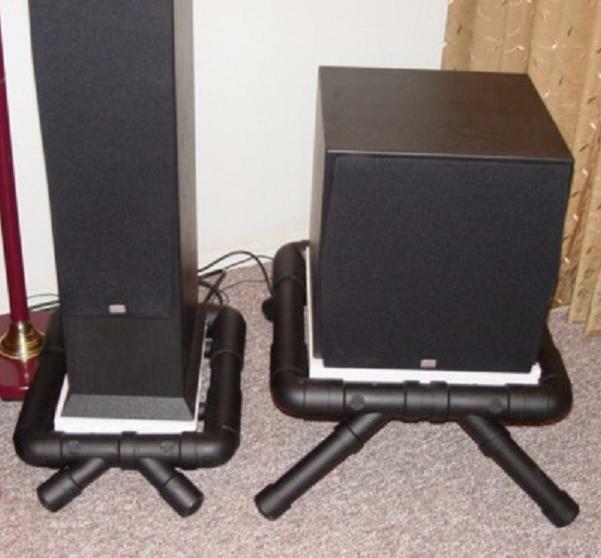 Once painted, they matched the speakers very well. 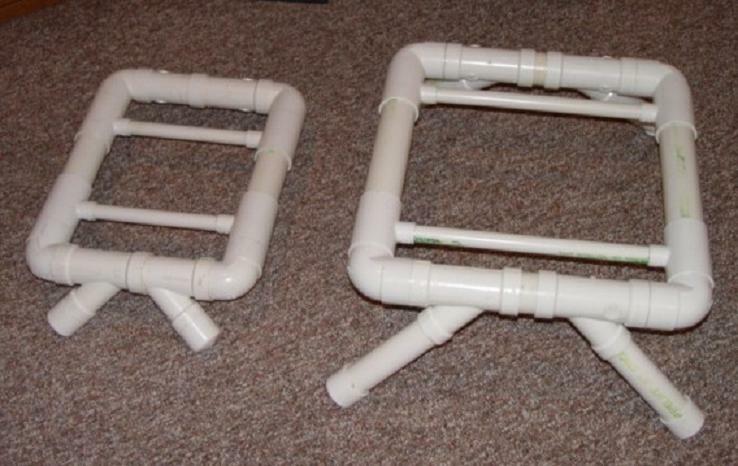 CLICK HERE to visit a site filled with free pvc plans, ideas, and creations.